The most loved iconic food of American cuisine is Mac & Cheese. 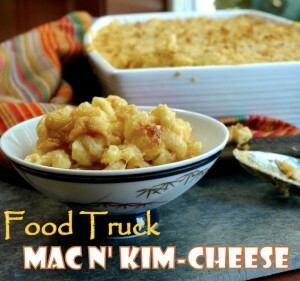 Popping up at food trucks and finest restaurants Mac & Cheese with a twist is having a renaissance. Try this recipe from Noble Pig Food Truck Mac n’ Kim-Cheese updated with KimChi as their favorite twist. We’ve slightly modified it for you to enjoy, and encourage you to try different cheeses as alternates. The Best TOP PERSONAL CHEFS and PARTY CHEFS are registered with ISA. We love referring them to our Clients for the BEST JOB OPPORTUNITIES we’re renowned for staffing. ISA Staffing is famous for domestic help expert services under the same original owners. Send us your favorite Mac N’ Cheese With A Twist and forward Our Best Advice. We love sharing great TIPS! Cook and drain macaroni to almost al dente. In a blender, puree kimchi and fish sauce. In a large saucepan melt 1/2 cup butter and add kimchi puree. Cook over medium heat for one minute. Add flour, whisking to incorporate and cooking for one minute more. Slowly add milk, whisking constantly to break up any lumps. Add cream and continue to whisk. Bring to boiling point and boil for 2 minutes (keep whisking). Reduce heat to a simmer and cook for 5 minutes. Add shredded cheese and continue to simmer until all cheese is melted. Remove from heat. Add cooked macaroni to the saucepan and gently toss to coat with cheese sauce. Transfer macaroni to a buttered baking dish. In a small bowl combine Panko and melted butter. Sprinkle over macaroni. SEND TIPS and Our Best Advice. Our ISA team loves hearing form you. We have Best of the Best top job opportunity offers for household help in the domestic help field. If you have top expert job experience with top checkable references let us help find your dream job. If you’re looking for a PARTY CHEF or PERSONAL CHEF we’ve got the BEST CHEFS to cover your household help and Event Planning needs.